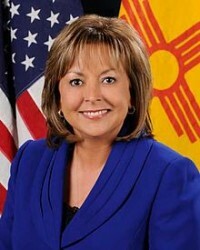 New Mexico Governor Susana Martinez has stated that she supports any state legislation and any move to give those young people who qualify for U.S. President Barack Obama’s Deferred Action for Childhood Arrivals (DACA) program temporary state driver’s licenses. These temporary state driver’s licenses for those in the DACA program would be good for one year. The presidential executive order, made last summer, will allow those undocumented young people who qualify who go on to college or into the U.S. military to receive temporary residency status. Martinez is a Latina Republican, and has been known for holding a hard stance on the undocumented in general. Martinez has stated time and again that she does not think the undocumented should be provided with any federal legal papers, and should not be given any state services. So why is Governor Martinez making an exception in the case of those who qualify for the DACA program? Those who qualify for the DACA program, also called the “Dreamers,” are being made an exception by Martinez because these kids were brought to the United States by their parents and therefore had no choice. All of this is true, but is this really the true reason why Martinez is making a considerable exception? States like Arizona (surprise, surprise!) and Nebraska are making no exception. These two states will not be issuing state drover’s licenses to undocumented young people who do qualify under the DACA program. Iowa will also not issue state driver’s licenses to undocumented young people in the DACA program. What makes New Mexico different? One reason may be because many of the state’s voters are Latino. Although many of the Latinos in the state are divided on the issue of the undocumented, many are sympathetic to those undocumented young people who had been brought to America by their parents as infants or children. Most recognize they made no choice to come to this country. I believe another underlying reason for Martinez’s decision is that she is trying to distance herself from the more extreme, anti-immigration members of the Republican Party. One of the reasons why more than 70 percent of all Latino voters chose Obama was because the people around former Republican presidential candidate Mitt Romney were seen as too extremely anti-immigrant and anti-Latino. Governor Martinez may be among a growing number of Republicans (and certainly among a growing number of Latino Republicans like Marco Rubio) who may want a more realistic policy on how to allow more Latinos into the Republican Party and how to deal with the undocumented. It is too early to know, but there are some rumblings within the Republican Party on where to go next. This has become especially true for Latino Republicans who saw their party go down in defeat in both the 2008 and recent 2012 presidential elections. Latino Republicans will not only want to protect their own political careers, but they will most certainly want to make the Republican Party more receptive to Latinos in general. The last presidential election showed the Latino Republicans that their party has been overwhelmingly rejected by Latinos, and they must try to recast their party to meet the needs and demands of Latinos. Even with what defeats the Republican Party has suffered lately, Latinos in the party have a tough fight ahead of them to accommodate Latinos.